Most beautiful and favourite has to be the Blue Dragon, even if s/he is venomous. 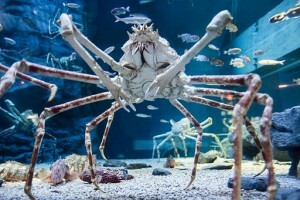 What would happen if Blue Dragon was as large as the spectacular Japanese Spider Crab? If the Blue Dragon was as big as the Japanese Spider Crab, I think fewer people would go swimming. Either that or we’d tame them 🙂 Maybe they’re quite friendly and only sting if threatened (like how a dog will only bite if threatened). Wow, that crab. 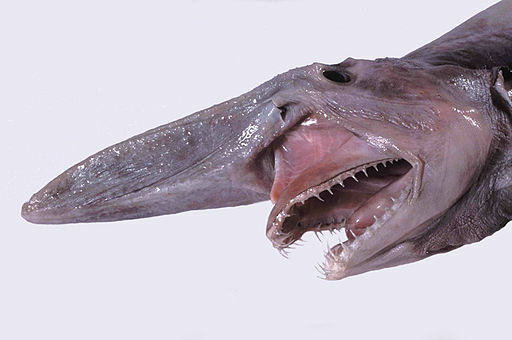 O.o I could do without seeing that one or the goblin shark in person. I agree with you on the Blue Dragon. 🙂 We can hope they’re not aggressive. LOL! 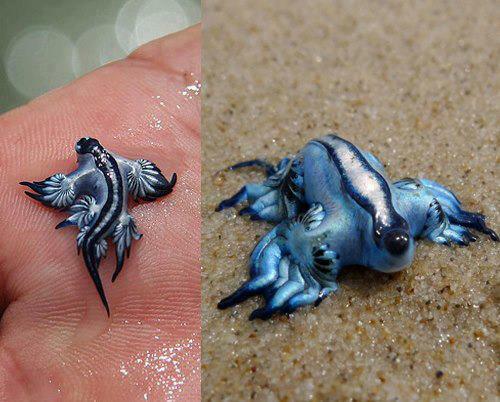 Yes Blue Dragon! 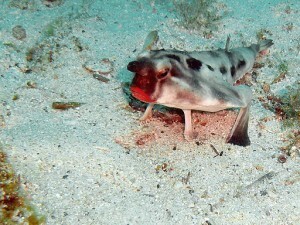 But the Red Lipped Bat Fish is preeeetty special too. 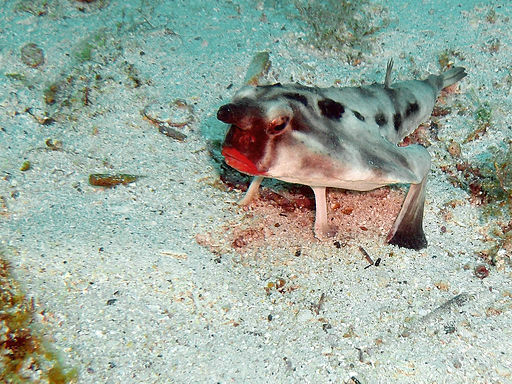 Now the crab…and the shark…they both look as if they were invented by Hollywood–I am not a fan! 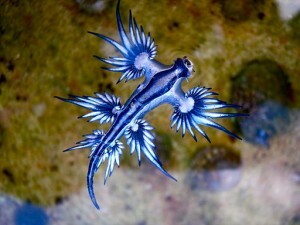 Ok, the blue dragon is the prettiest by far. Does it only have one eye? I was guessing that’s what the round bulb on its head was. The goblin shark freaks me out, but is pretty fascinating. 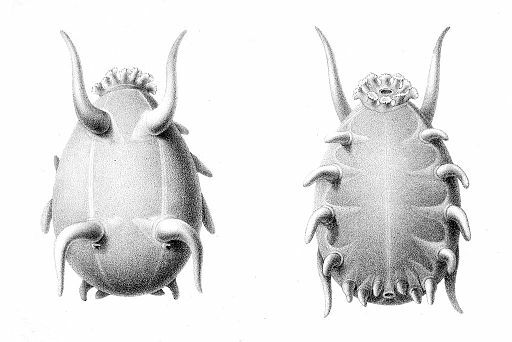 I had never heard of any of these creatures. So crazy.